It was about 8 to 10 years ago when I first encountered her online. I didn’t know her. Still don’t. But I found out she was brassy and candid with her opinions. I liked that. 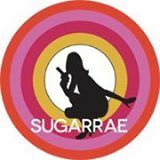 She was and still is in the affiliate marketing space. I wasn’t terribly interested in operating in that space so I didn’t dive too deeply into her past or present. Like all of us, I just looked at what she was doing, tried to see what I might learn from her and kept glancing casually at her content. No, I wasn’t a devoted follower so I didn’t intently look for any back story. 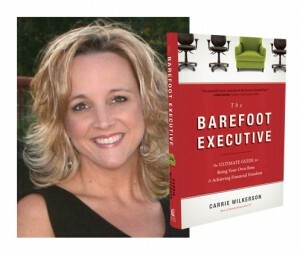 Carrie Wilkerson is The Barefoot Executive. Some weeks ago Carrie and I recorded a conversation that I hope to release as part of my ChasingDFWCool.com project. I was running a multi-million dollar company so I wasn’t really in her target market. I wasn’t working from home. I sure wasn’t barefooted. I knew Carrie’s story a bit better than Rae’s, but that was only because Carrie talked about it more than Rae. And I don’t profess to have known the details because once again…I didn’t pay close enough attention. Like you, I was in and out with my attention span. I was looking only at what I could learn from what these two ladies did. Being an affiliate marketer or working from home didn’t resonate with me so I wasn’t as observant as I should have been. I think I ran across Lynn before Rae or Carrie. She occupied the same space as Rae – affiliate marketing. Her story was one I knew from the get go. I think it’s because she was candid about it. Understandably, private things are easier for some to share. Harder for others. Or maybe not. I can’t judge why I personally knew Lynn’s story – or felt I did – better than Carrie’s or Rae’s. I do know that I paid attention to Lynn longer when I stumbled onto her. 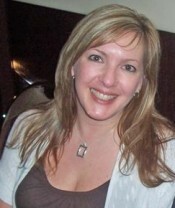 She was involved in “internet marketing” but seemed to be very different from the others I encountered in that space. I’m going back a decade ago. It wasn’t affiliate marketing, but it was her dedication to her customers (her audience) that resonated most with me. I was fanatical about customer service and she seemed to share that. So I hung around and got to know her online presence a bit more than Rae or Carrie. The fact is, we don’t always have it right. Quite often, we’re wrong. We judge a book by the cover. I’m not blaming us. We all do it. In fact, we have to. It’s just that sometimes, we judge incorrectly. Simon Sinek is the modern godfather of “why.” I love his work. I’m a big fan. Peter Drucker and W. Edwards Deming talked of it. And Tom Peters. Countless others. Why has always been an important, if not urgent question for me. Yet, I have failed to ask it as often as I should. When looking at these ladies, and many others like them, I’ve not asked. Or dwelt on it much. When looking at my own inspirations and motivations, I’ve not asked. Or examined it much. Or even allowed the “why” to really bubble to the surface. Maybe that’s a guy thing. Maybe there’s a reason why 3 successful stories of today’s show are all women. Very driven, determined women. Women on a mission. P.S. Sam Hurd is the professional football player I referred to in the show. Late today, he was sentenced to 15 years for drug trafficking.